The Grand Jury investigation into illegal wild horse slaughter began with two BLM employees: Mr. Galloway and Mr. Sharp, both working under the direction of Steve Henke, currently still employed by BLM as a District Manager in Farmington, New Mexico. Over ten years later, a different investigative report has just been released by Valerie James Patton, which includes some serious questions surrounding BLM sanctuaries in Bartlesville, OK and the more than 8,000 geldings these sanctuaries now hold. Ms. Patton’s Investigative Report centers around an anomaly of exclusive gelding exports from the Santa Teresa Livestock Port of Entry between New Mexico to Mexico, where USDA export records indicate record breaking levels of geldings have been, and are still being sent to Mexico under a “non-slaughter status”. The current total of these non-slaughter geldings shipped into Mexico has now reached over 3,000 for this year alone. Her report on the possible illegal shipment of these horses compares the Texas export numbers of non-slaughter geldings with the Santa Teresa Port’s export numbers, notes that Santa Teresa does not send any other kind of horse through their port under a non-slaughter status and asks hard questions about what Mexico is doing with these geldings that are now numbering into the thousands, as they are obviously not for breeding purposes. Furthermore, her report states that the only currently known source for such a continuous supply of geldings is BLM sanctuaries. 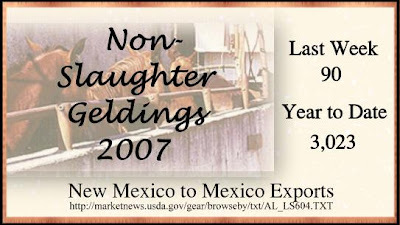 The report gives significant treatment to statistics, numbers, locations, interviews, newspaper articles, government connections between U.S. and Mexican officials, and as the evidence mounts, a powerful case is presented which demands an official investigation into the both the source and the destination of these non-slaughter geldings. Except it looks like that is going to be very difficult….. Her report also includes the results of a recent on-site investigation by Animals’ Angels investigators who were denied access to Santa Teresa’s facilities and what little information New Mexico officials offered turned out to be false - these officials included USDA employees. Yes, this is the same USDA that flipped Congress the finger when they voted to withdraw funding for horsemeat inspections in efforts to shut down the American horse slaughter trade in 2006. In another AP news article by Martha Mendoza published in 1997, Trail’s End for Horses: Slaughter, over 200 BLM employees were cited as adopting wild horses and burros with most unaccounted for and some employees acknowledging they were sent to slaughter while Pascal Derde, the proprietor of Cavel West Slaughterhouse in Redmond, OR, reportedly "displayed a sheaf of BLM certificates for horses he recently butchered". Gabriel Paone, a Department of the Interior ethics official was quoted as saying there was nothing wrong with BLM employees adopting wild horses and then selling them for profit. "They’re not doing this as public officials." Paone said. "They’re doing this as private citizens." In an article by American Wild Horse Preservation Campaign, The Story Behind The Burns Amendment, a plan is outlined showing which way American wild horses were headed. “A few years ago, a Montana rancher proposed to send 10,000 wild horses to Mexico, the second largest horse meat supplier in the world, for his private enterprise craftily dubbed the "Sonora Wild Horse Repatriation Project." Apparently, the boldness of this proposal created so much opposition it was ultimately defeated - perhaps an even craftier enterprise was needed to move our horses into Mexico. The political consequences of openly killing wild horses and burros was foreseen during the July 1998 Field Hearing held in Reno, NV (see Year of the Horse II) as John Balliette, Contractual Natural Resource Manager, Eureka County, NV stated, “I also urge you to be cautious with euthanasia, especially for large reductions. Personally, I would view putting thousands of horses down as a terrible waste of a resource. I also believe the first time several hundred horses are euthanized in one spot, a political firestorm will follow”. Needless to say, Mr. Balliette was correct but it didn’t take several hundred to do it. In November 2004, the Burns Amendment was “slipped in” and became a reality for our wild horses and burros in 2005. 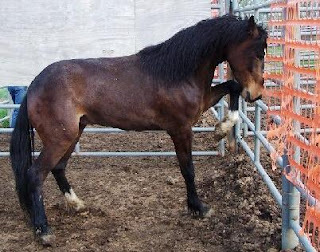 Forty-one wild horses were slaughtered in an Illinois slaughter plant, some of the first sold under this new For Sale Authority and public outrage caused BLM to temporarily suspend sales between April 25 thru May 19, 2005. BLM also rewrote and strengthened the adoption contracts before resuming sales but considering past historical violations, even by the agency itself, as well as no true legal consequences to those who violate these contracts due to Congress continuing to give BLM the authority to sell them “unconditionally”, there is little hope that violators will actually be prosecuted if our horses and burros end up hanging from a hook. According to Ms. Patton’s investigative report, the shipment of unusually high numbers of non-slaughter geldings sent through Santa Teresa, New Mexico to Mexico began on August 16th, 2005 – just three months after BLM resumed selling our wild heritage to sealed bidders. 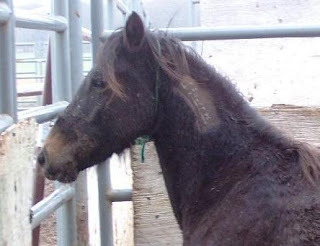 Advocate and watch dog groups have been requesting details about the For Sale Program but meaningful answers have not been forthcoming and the BLM only publicly provides a running total of the wild horses and burros that they “sell”. Unprecedented numbers of wild horses and burros have been swept off public lands authorized by completely absurd assessments, BLM cut adoption events over the last few years during a time when they needed this outlet most, the cost of capturing and holding our wild horses and burros in these mysterious sanctuaries continues to skyrocket and suddenly we find New Mexico in the news - again! Yet Congress sits stalled – refusing to investigate the Wild Horse & Burro Program or demand accountability, refusing to repeal the Burns Amendment, and refusing to open an investigation into these non-slaughter geldings being exported from New Mexico at record levels. 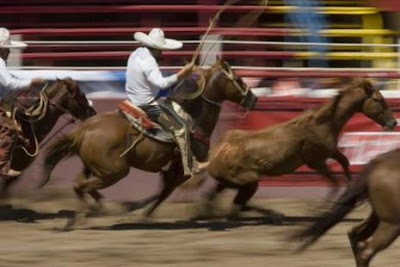 Some speculate these geldings are being shipped to Mexico as unwilling participants in a popular form of Mexican entertainment called Horse Tripping, as illustrated in the header photo. 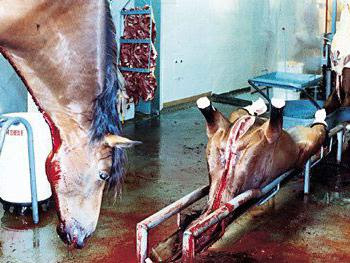 Even so, most horses used for these events end up in Mexican slaughterhouses once the ropes have cut their flesh too deeply or their legs finally brutally break. The Humane Society of the United States has recently released a video on the reality of Mexican Horse Slaughter, often performed by repeatedly stabbing a knife into the horse’s spinal cord until it is paralyzed, though not unconscious for its slaughter. There is little question the final destination of the majority of these “non-slaughter” geldings will share the same fate of those so graphically depicted in this video. In 1998, Mr. Balliette also recommended a sale authority that would be “sunsetted” once the numbers on the range and in the adoption pipeline were brought down to manageable numbers before more “politically correct” population control methods were again employed. Maybe Congress is waiting, as Mr. Balliette suggested, until a sufficient amount of America’s wild horses and burros have been “disposed of” before bringing the vote to the floor…. or maybe they will never repeal it - after all, it’s only the majority of the American people who so passionately love wild horses and burros and have showed their overwhelming support time and time again for mandating their protection – but does anyone in Washington care? In efforts to bring awareness to the weekly shipments of these Non-Slaughter Geldings being sent to Mexico from New Mexico for over two years now, the American Herds Hot News Section will now display their weekly exported totals until -we pray -these shipments are investigated and finally brought to a halt. “The government’s continued lackadaisical attitude toward the mustangs makes it necessary for private conservation groups to constantly remain alert and follow the administration and enforcement of the law. Otherwise, the horses’ traditional enemies will succeed in slowly but surely eliminating them.” -The Politics of Extinction by Lewis Regenstein, 1975. In fact, there is so much available evidence clearly showing inappropriate and often illegal activities against wild horses and burros, only the illiterate could be convinced otherwise. When public love and outcry sparked Congress to pass the Wild Free-Roaming Horse and Burro Act in 1971, those still prejudice against the wild ones have been seeking to overturn their federally protected status ever since. In 1973, legal proceedings were initiated by a New Mexico cattleman who unsuccessfully tried to overturn their federal protection in Kleppe vs New Mexico (June 17, 1976). The Government Accounting Office (GAO) released their audit and report in August 1990 of the BLMs Wild Horse and Burro Program titled, Rangeland Management, Improvements Needed in the Federal Wild Horse Program, which included scathing indictments of wild horses being regularly sent to slaughter and unfair treatment by BLM. American Wild Horse Preservation Campaign provides a Link to a 1997 report released by the Public Employees for Environmental Responsibility (PEER), Horse Slaughter -Anatomy of a Cover-Up, which explicitly details BLM abuses, wild horses and burros going to slaughter and a complete lack of accountability in the wild horse and burro program that many believe still continues today. fraudulent use of wild horse sanctuaries--ranches subsidized by the federal government to care for unadoptable wild horses deemed excess and removed from the range--as fronts for commercial exploitation. Associated Press reporter, Martha Mendoza also did a series of articles on the travesty occurring, such as Wild Horse Criminal Case Shut Down, which involved additional investigative reporting that found a long-standing history of cover ups, abuses and wild horses and burros being sold for slaughter. Bill Sharp, who worked for the BLM before retiring in 1994 was quoted as saying, "If I really was worried about intent then I probably wouldn't have adopted out any horses, because I believe 90 percent of these horses go to slaughter." While evidence piled up that indeed, America’s wild horses and burros were routinely being sent to slaughter with many BLM employees actively participating, looking the other way or being too afraid to speak out, the Grand Jury Investigation was successfully slammed shut in 1996 without any of the hard won evidence ever being heard. Congress responded by turning a blind eye – to this day, they have failed to demand any investigation or accountability of these allegations and have failed to require BLM to submit biannual reports on the Wild Horse and Burro Program, as required by law, since 1997. His questions, and ours, have never significantly been addressed. The prosecuting attorney for the derailed Grand Jury investigation, Alia Ludlum, stated, "I believe that my investigation was obstructed all along by persons within the BLM…..I think there is a terrible problem with the program and with government agents placing themselves above the law." And so, with improprieties, abuses, and illegal activities against wild horses and burros being sanctioned and covered up at the highest levels, Larry Johnson, Director of Nevada Bighorns Unlimited and currently serving on the 2007 Wild Horse and Burro Advisory Board, stepped up to the plate. In March 2000, Mr. Johnson submitted statements in concert with BLM under a Wild Horse Attachment to a Senate Subcommittee on Energy and Natural Resources to urge their support for “The Restoration of Threatened Watersheds”, citing wild horses and burros, not livestock, were one of the major threats to both watershed health and wildlife and as such, funding was needed to drastically reduce their populations across the West. The Nevada Commission for the Preservation of Wild Horses was also cited by jubilant anti-wild horse supporters as being the key factor in convincing Congress that their removals were truly a necessity in Nevadas 2000 Public Land Policy Update (pg.17). In October 2001, armed with Congressional approval and funding, BLM proceeded to launch the most aggressive removal campaign ever implemented, rounding up over 70,000 of our wild horses and burros over the last six years. With the Sales Authority waiting in the wings, BLM officials successfully escaping federal indictments, prosecution or any accountability at all, years of frustrated efforts to strip federal protection of America’s wild horses and burros was finally rewarded - our Land Lords just sat back to wait…..
(1) Report prepared by the ISPMB, Subcommittee on National Parks and Public Lands, June 5, 1998. The second big event that happened in 1998 was a Congressional Subcommittee Hearing of National Parks and Public Lands held in Reno, Nevada on July 13th titled, Field Hearing on Range Issues and Problems with the Wild Horse and Burro Act and Its Implementation. It was here that a handful of men began laying the groundwork to amend the Wild Free-Roaming Horse & Burro Act to include a “Sales Authority” clause to allow them to be slaughtered as well as exploring all possibilities for disposing of America's “excess” wild horses and burros. The need to grant BLM the authority to slaughter America’s wild horses and burros was openly discussed by many with testimony citing them as merely feral “like alley cats” and that BLM needs to be able to manage them as livestock, a position supported by then BLM Director, Pat Shea. Utah Congressional Representative James Hansen, Nevada Congressional Representative Jim Gibbons (now Nevada Governor), NV Legislative Senator Dean Rhoads, NV Assemblyman John Carpenter, NV Elko County Commissioner Anthony Lesperance, Ph.D, NV Lincoln County Commissioner Rey Flake, NV Eureka County Natural Resources Manager John Balliette, National Wild Horse Association Field Director David C.J. Tattam, Arizona Game & Fish Department Director Duane L. Shroufe, and NV Rancher Demar Dahl. Current Nevada Senator John Ensign, who introduced S. 1915, a bill to amend the Horse Protection Act to prohibit shipping, transporting, moving, delivering, receiving, possessing, purchasing, selling, or donation of horses and other equines to be slaughtered for human consumption, and for other purposes, was also present as a Congressional Representative at this 1998 Field Hearing. As politicians and cattleman lined up to testify against the wild horses with arguments that ranged from how their “excessive numbers” destroy the range and riparian areas, strip the forage for their livestock, and threaten true wildlife species such as bighorn sheep, they never failed to grind the ever popular axe of wild horse and burro management costing the taxpayer a fortune by being nothing more than a “Federal welfare case” - (Representative Jim Gibbons). While these cattleman were arguing against the costs of the Wild Horse & Burro program and how public land is really their land, USDA Records shows in 1998, almost $2.7 million dollars was handed out in federal subsidies in Nevada and exceeded $62 million dollars between 1995 and 2005 for Nevada ranchers and farmers alone. This does not take into account that a rancher is currently paying less than $1.35 per month per cow to graze them on public lands -1/10th the cost of private grazing fees. USDA federal subsidies records also shows NV Senator Dean Rhoads of Rhoads Trust Dean & Sharon have personally received $500,875 dollars between 1995 and 2005. This Field Hearing was conducted one month before the Nevada Draft Management Plan for Wild Horses was introduced (see last post, Year of the Horse I). 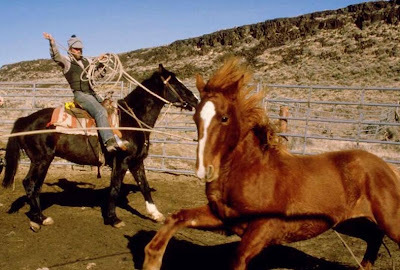 The year 1998 was a big one for our wild horses and burros -two major events happened that laid the groundwork for the most stunning change in wild horse and burro policy since the passage of the Wild Free-Roaming Horse and Burro Act. Of course, this change would be the Unconditional Sale of our herds commonly known as the Burns Amendment and now carried out by BLM under the term “Sale Authority”. However, as is commonly believed, there was nothing “stealth” about it – selling our wild heritage was well planned and coordinated long before it was “slipped in” the day before the Thanksgiving break. In August of 1998, Nevada Ecological Consulting, Inc. presented the Draft Nevada Wild Horse Management Plan for Federal Lands to the Nevada Department of Conservation and Natural Resources/Commission for the Preservation of Wild Horses in response to Bill 211, enacted by the Nevada Legislature in 1997 requiring the Commission to develop a plan for managing wild horses in Nevada. There were sixty-five participants that provided input for this plan as well as nine public meetings held throughout the state. The Plan discussed a large array of issues on wild horse and burro management but almost none of the solutions presented to maintain wild horses and burros as integral components of public lands have gone any further than the drawing board. The emphasis seemed to be on what to do with the wild horses and burros once they had been removed from the range, not providing the critical habitat requirements necessary to keep them from being removed. 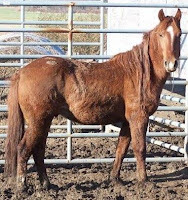 By the year 2005, reach AML on all delineated HMAs by removal of unadoptable wild horses (as a last resort), either by euthanasia methods preferably on home range, or by sales authority granted to BLM with all sale receipts earmarked to defray program costs. BLM and Congress should abide by the provisions of the ACT allowing euthanasia as a humane method of removal of excess numbers of unadoptable wild horses, and that the euthanasia prohibition in the annual Congressional Appropriations Act for funding of the wild horse program be rescinded. Congress should consider amending the ACT to allow sales authority to BLM for placement of unadoptable wild horses where a reasonable number of adoption attempts have failed to place the animals. All sale receipts from such placement to be earmarked to the state of origin to defray costs of program. 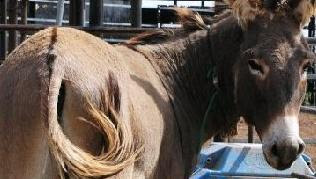 1) Amendment to the Wild Horse & Burro Act of 1971 is needed to include a sales authority clause to remove excessive numbers of unadoptable animals with sale proceeds earmarked to defray program costs. 3 strikes and you're out by either sale or euthanasia. `(B) the excess animal has been offered unsuccessfully for adoption at least 3 times. `(B) the appropriate management level, as determined by the Secretary, is attained in all areas occupied by wild free-roaming horses and burros. `(B) used for the costs relating to the adoption of wild free-roaming horses and burros, including the costs of marketing such adoption. `(4) EFFECT OF SALE- Any excess animal sold under this provision shall no longer be considered to be a wild free-roaming horse or burro for purposes of this Act.'. The Commissioners statements in the NVCPWH April 2005 Meeting Minutes* can only leave us wondering…. Why would BLM cut adoption events or refuse to supply wild horses and burros to events where “all they had to do was collect the money” when holding pens were bursting at the seams? In 2001, when BLM launched the most aggressive wild horse and burro removal campaign they had ever undertaken, didn’t they know what would happen? Did they have a plan on how to deal with tens of thousands of wild horses and burros now crammed in government pens at taxpayers expense? *See last post, "Doing Everything We Can"
So is this true? Not according to the Nevada Commission for the Preservation of Wild Horses. Here is what they had to say in the Commissions April 7, 2005 Meeting Minutes. Commissioner Gleason stated that she felt BLM was spending more with no accountability. Commissioner Brehm stated, “Adoptions hosted around the National Final Rodeo in Las Vegas were a good event and that almost all the horses were adopted in the previous years when BLM hosted adoptions there, but that it has been over 10 years since they did the NFR adoptions." “The ‘National Marketing Plan for the Bureau of Land Management’s Wild Horse and Burro Program’ submitted by Fleishman-Hillard, Inc. on January 12, 2001….includes numerous constructive recommendations for invigorating and centralizing the BLM’s Wild Horse and Burro Program’s marketing and adoption activities." Stokke replies, “I think that we are continuing to explore new opportunities and new avenues..."
Photo taken from BLMs Internet Adoption Site, Nebraska wild horse and burro holding pens. As promised, Chief Investigative Reporter, George Knapp and the I-Team of KLAS 8 in Las Vegas, NV have followed up their first investigative story, No Straight Answers on Wild Horse Budget (Part I), with an in depth look at questions on how BLM determines our wild horses and burros need to be removed. Today, with more wild horses in government pens than now roam free, millions of dollars being spent the last few years for their removals and millions more now spent to feed them, Mr. Knapp asks whether BLM has any justification for corralling them in the first place. So the Knappster begins his quest for answers as he and the I-Team examine the 40 million acres under BLM control in Nevada, the recent Jackson Mountain HMA round up that led to over 150 deaths in BLM's Palomino Valley holding facility, the 8,000 livestock that have been approved to graze the Jackson Mountain home range area, and allegations by national BLM scientists who have accused BLM of politicizing range science to benefit ranchers, miners, and oil companies on public lands. In an interview with Craig Downer, once employed by BLM as a range scientist but claims he quit in disgust, Mr. Downer grew up watching wild horses near his Northern Nevada home and stated, “It’s very skewed data, very arbitrary statements. They’ll just come out and say that wild horses are a detriment to the ecosystem without any proofs." He further added,“How can you say the several thousand horses that remain in all the west compare with several million livestock? It’s just ludicrous”. Mr. Downer feels that most of the information used to justify many of the round ups is “bogus”. In another interview with long time wild horse advocate Jerry Reynoldson of Wild Horses 4 Ever, the Knappster found continuing support for the position that BLM uses bogus information to justify the round ups. While questions continue as to how BLM has justified the removals of thousands of wild horses and burros from public lands, the millions of dollars being paid to those who remove and feed them, and little being budgeted towards their adoptions, is it any wonder the I-Teams choose “Nevada’s Wild Horses Face Desperate Future” for part two of their look at America’s remaining herds. Kudos to Mr. Knapp and the I-Team for working to expose the truth behind this American tragedy as these living symbols of freedom are once again “fast-disappearing” - this time funded out of the government trough. The photo used was taken from the Palomino Valley Internet Adoption site five days after BLM began conducting the Spring Mountain round ups based on "BLM formulas" that determined they "might starve or become thirsty in the future". This horse was one of the 864 wild horses and burros BLM removed from the area in January 2007. 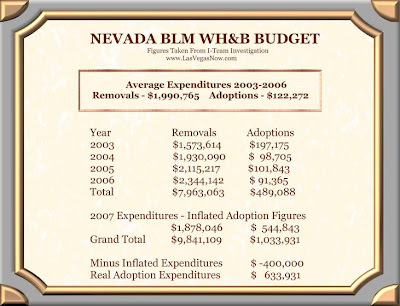 Veteran Chief Investigative Reporter George Knapp and the I-Team (KLAS 8) in Las Vegas, Nevada have just released a series of news stories on the BLM’s Nevada budget for wild horse and burro management or perhaps the more correct term is “mismanagement”. The whole affair began last February when Mr. Knapp and the I-Team requested information asking BLM what they spend on removing Nevada wild horses and burros compared to the money doled out for adoption events. Forced to file a Freedom of Information Act request in order to obtain answers to this question, a seven-month wait finally revealed the BLM shelled out almost $10 million dollars between 2003 and 2007 for the removal of Nevadas wild horses and burros alone. For the same time period, the money spent on adoption events in Nevada totaled a little over $1 million, according to an interview conducted by the Knappster with Nevada Wild Horse and Burro Lead, Susie Stokke. However, there’s a reason George Knapp is the I-Teams Chief Investigative Reporter. First, he finds that Stokke inflated the 2007 adoption money by “padding the numbers” with imaginary funds set to be released at “some future date” - a deceptive tactic at the very least. Without “cooking the books”, the actual amount spent on Nevada adoptions between 2003 and 2007 totaled merely $6.3k, almost 50% less than what Ms. Stokke was claiming. Then, while Susie tries to do the usual song and dance, George corners her when she reports the wrong figures during the interview, figures she insists are more accurate than the information the I-Team obtained from the National Program Office, even while Mr. Knapp is holding the evidence right in front of her eyes!!!! The Knappster states, “This is one of the most contentious interviews I have ever been involved with” and that says a lot for someone who’s been interviewing people for decades. The full news story, I-Team; No Straight Answers on Wild Horse Budget is peppered with facts, statistics and the reality of dealing with the Nevada BLM. While the stories linked here cover the issues of adoptions versus removals and the fortune it’s costing taxpayers to capture and hold our wild horses and burros, a second story by the Knappster and I-Team has been promised that will examine the “science” of how BLM determines they must be removed and if it was even necessary to remove them in the first place. With deep gratitude and heartfelt thanks to George Knapp and the I-Team for their dedication and perseverance in working to get the real stories out about the “managed extinction” of our American Herds!!! NCPWH stands for the Nevada Commission for the Preservation of Wild Horses. To those interested in American wild horse and burro preservation, knowing who the Commission is, how it was established and what it is doing and has done for the American herds over the years, is a vital piece to the puzzle of understanding where our herds stand today. The Commission has had a profound influence on policy, strategy, and decisions – not just in Nevada but also within the entire National Wild Horse and Burro Program itself. Many of the national strategies that have been implemented, which are causing such distress to wild horse and burro lovers everywhere, can trace their roots back to what the Commission has set in motion. As with many of the public land and resource issues, the Commission has a long and complicated history, mostly due to politics, that are difficult to summarize in a few paragraphs. Therefore, a series of articles has become necessary to help wild horse and burro advocates understand why they need to know about the Commission, its activities, its historical and current role in wild horse and burro management, the political influence on both state and federal levels that has had such devastating effects to wild populations everywhere, and where the future of the Commission is headed. Inspired by the recent ruling from the Interior Board of Land Appeals (see last post, WHOA-The Final Blow?) of the appeal filed against the Red Rock wild horses by Dawn Lappin of Wild Horse Organized Assistance (WHOA), the time has come to examine the Commissions lasting impact on America’s wild horse and burro herds. Dawn Lappin herself, though not officially part of the Commissions, has a very long history of involvement in wild horse and burro advocacy. One can find her name in public comments submitted to BLM and other agencies that stretch back for decades. She and her organization, WHOA, are nearly joined at the hip with the Nevada Commission for the Preservation of Wild Horses as well as having deep and lasting ties with the Commissions long-time appointed administrator, Cathy Barcomb. These two women have routinely worked together throughout Nevada, with the BLM, and with state and federal authorities on multiple levels to influence policy and carry out agendas. They could single handedly be considered the two most influential people in wild horse and burro management in the country and have been so for a very long time. While they use to work together on a more open basis, changes in Nevada Revised Statutes that began to limit the Commissions authority have caused them to use each others organizations to accomplish their goals, which are now carried out more “behind the scenes”. What they are planning, supporting and suggesting is important information for anyone interested in Preserving the Herds of America. 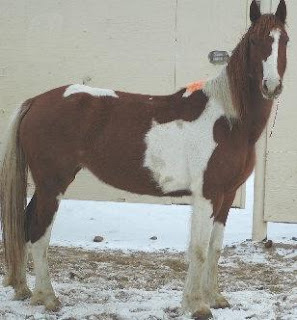 Photo of five year old mare captured 11/30/05 "Outside an HMA" downloaded from BLMs Internet Adoption Website. WHOA - The Final Blow? Has Wild Horse Organized Assistance (WHOA) Director Dawn Lappin just delivered the final blow to Americas remaining herds? On August 2, 2007, the Interior Board of Land Appeals, 172 IBLA 128 ruled that there is nothing in the Wild Free-Roaming Horse and Burro Act that prohibits the BLM from augmenting non-self sustaining herds to prevent inbreeding. Based on BLM provided studies, Administrative Law Judge, T. Britt Price declared that "only 50 breeding animals are necessary for genetic diversity" and goes on to say, "Appellant seemingly argues that the need to augment the herd by introducing breeding mares demonstrates that the horses of the Red Rock HMA cannot be considered either healthy or self-sustaining under the new AML" (Allowable Management Level for the Red Rock wild horses was established in 2004 at a range between 16-27). The Interior Board of Land Appeals (IBLA) oversees administrative law for the Department of the Interior and is available at no cost to anyone who wishes to appeal a decision by public land managers. The catch? It is up to you to provide a preponderance of evidence that clearly shows managers erred in their decisions. Judge Price, who issued the decision stated,"Neither the Act nor regulations uses "uniqueness" as a standard in managing wild horse and burro populations"
that "as published in the Pierson Report, the BLM was to fully pursue and implement actions to reduce herds within Nevada's ephemeral ranges in the Mojave Desert,"
that "the ephemeral range cannot support sustained use by the Red Rock herd, which has suffered because of prolonged severe drought,"
"the development and allocation of water constitutes an action that is 'contrary to the role and responsibilities of the Nevada State Water Engineer'." Director Lappin closed her argument with, "WHOA therefore contends that BLM should have established a zero AML for the wild horses of the Red Rock HMA." Is she for real with a name like Wild Horse Organized Assistance? While WHOA charged in to court aiming to set a national policy regarding the genetic viability of our herds (of which she seemed to be shooting for zero), she came to the fight empty handed and presented nothing to support or counter the Department of the Interior's statistical reams or crack legal teams. BLM has now been given legal license to give even more forage to livestock and big game because all they have to do is add a horse, any horse from any where, and PRESTO! they are a now an "American Mustang". While BLM continues to remove the wild horses from the New Pass/Ravenswood and Augusta Mountain Herd Management Areas (HMA) due to wildfire damage, let’s take a look at another HMA being ”managed” for wildfire recovery…..
Why only one? Because if BLM establishes in their land use plan that they will manage for wild horses and burros, they cannot “legally” zero it out for wild horse and burro use until the land use plan is changed. In order to get around this obstacle, BLM managers just establish an AML of one until the new land use or resource management plan is developed. BLM issued a Proposed Decision on September 25, 2007 that authorized 1,180 Animal Unit Months (AUMS) for livestock or 169 cattle for six months out of the year while refusing to answer questions about these exclusive forage allocations. As for what else BLM had to say while they were evaluating the ten-year grazing permit, in addition to referencing wild horses as “feral”, these are direct quotes taken from the environmental assessment BLM issued in July 2007. So the wild horses being removed today are a result of not being allowed the same “moderate use in the burn areas” that livestock are……imagine that. Isn’t this the same agency that removes wild horses and burros to protect riparian areas? Yet the elk have been documented as degrading the riparian area for the last five years! Maybe BLM doesn't “manage” elk but they have been mandated to preserve public resources and riparian areas are supposed to be one of the highest priorities in all their management decisions. After all, wasn’t it these riparian areas and threats to watershed health that caused “experts” to line up and testify to Congress about how they were in mortal danger by the wild horse and burro population, testimony that Congress believed and resulted in 70,000 wild horses and burros being cleansed from our lands over the last five years? (2) Lincoln County Elk Management Plan, July 1999, pg 4. (3) BLM Ely Field Office, Gather Summary, Dry Lake Complex and Fire Gathers, December 2006, Courtesy of Benjamin Noyes. (4) United States Department of the Interior, Bureau of Land Management, Ely Field Office, Caliente Field Station, Preliminary Environmental Assessment # NV-040-07-016, June 2007. The BLM Battle Mountain Field Office will be removing up to 714 wild horses this weekend in the New Pass/Ravenswood and Augusta Mountain Herd Management Areas (HMA) located in central Nevada and 10 "Outside", in response to wildfires that burned 62,000 acres within the HMAs alone. Citing the wild horse removals as necessary to allow vegetative recovery, the BLM authorized reducing the New Pass/Ravenwood wild horse population by 316 more wild horses than their established “low” range of AML. According to the Battle Mountain Field Office, the total acreage of the two HMAs span 468,683 acres while the National Program Office only reports 437,996, a difference of 30,687 acres. The estimated wild horse population due to a recent census ranges between 1,030-1,095 while the total established wild horse “allowable management level” (AML) ranges from 730-874. The “Emergency Burn” environmental assessment that authorized the wild horse removals lists 8 livestock grazing allotments that effect both these HMAs but forage allocations were only included for 7 of them totaling 20,801 Animal Unit Months (AUMs). And is it any wonder they left #8 off their list. On October 5, 2007, BLM authorized a ten-year grazing permit for 6,882 cattle to graze throughout the year in #8, the Mount Airy Livestock Allotment and home of the missing forage allocations in BLMs wild horse "Emergency Burn" removal plans. On top of that, on October 11, 2007, BLM approved an additional 2,500 AUMs of Temporary AUMs of forage for the Mount Airy Livestock Allotment citing “the forage was available”. This included authorizations to run 386 cattle the last week of September, between 11/1 and 11/30, and 714 cattle between 12/1 and 2/28 of this year. All Mares Treated with Fertility Control PZP. Home Station Gap- 914 AUMs, Jersey Valley- 549 AUMs. -Department of the Interior, Battle Mountain Field Office, New Pass/Ravenswood and Augusta Mountains HMA Burned Area Wild Horse Removal Environmental Assessment #NV062-EA-07-188, October 2, 2007. -Department of the Interior, Battle Mountain Field Office, Final Decision, Austin Complex Permit Renewal, October 5, 2007. - Department of the Interior, Battle Mountain Field Office, Final Decision, Mount Airy Allotment Temporary Non-Renewable Use Permit, October 11, 2007. 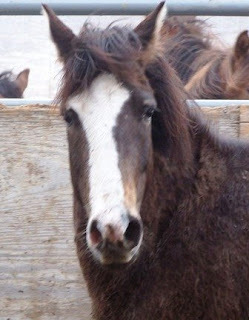 -Photo from BLM Internet Adoption Site and cited as removed from “Outside HMA”. No further information was provided as to the wild horses original location.